Waffle started off as a work tracking tool for open source repositories on GitHub. Today, Waffle works for software development teams of all kinds, from those managing open source projects to enterprise software teams with dozens of private repositories. The Waffle team has a special place in our heart for our original audience: the open source community. Waffle offers a free plan for all open source repositories to show our support. One of our favorite open source teams comes from the company Strongloop, a great company that provides the development community with the sponsorship and development of leading Node.js frameworks, Express and Loopback. They are also core contributors to Node itself, and provide support for over 100 npm open source modules. “At StrongLoop, we work on multiple projects, all of them supporting the main theme – make it easier for developers to build, deploy, scale and monitor API built in Node. 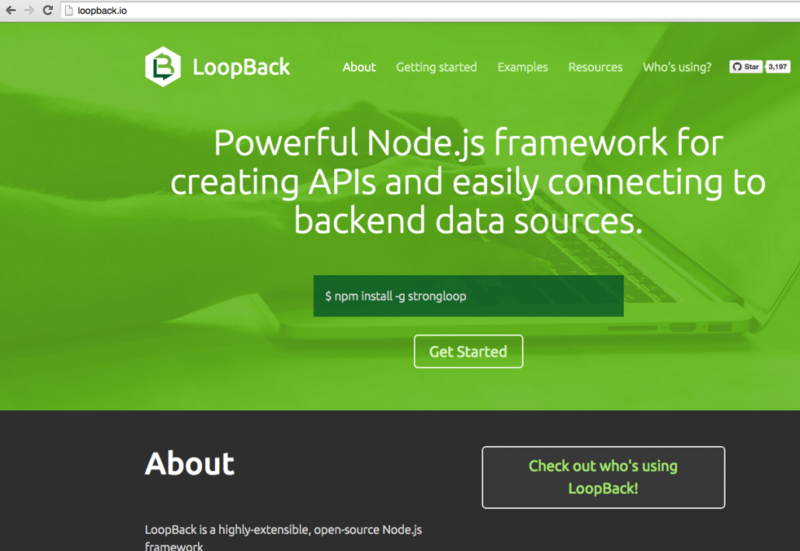 I personally spend most of my time on LoopBack, our open-source Node framework for building API servers. LoopBack is an open source project using a modular architecture, we have more than 20 GitHub repositories. While it is possible to keep product backlog in one place, e.g. in Jira, there is no way how to do the same for all community contributions – be it pull requests or bug reports. Prior to Waffle, we were using an alternative project management tool for managing user stories coming from our product managers and using GitHub to manage community-reported issues and pull requests. These two systems were not really connected, it was difficult to get a good picture of all things in progress. The biggest reason for choosing Waffle.io over other similar products is its ability to merge data from multiple public and/or private GitHub repositories and display them on a single board. Before using Waffle.io, we had most of our backlog in an alternative tool, hidden from the public view. This made it difficult to expose enough information about our future plans to the community and maintain a public roadmap. Now that all our work items are in GitHub, we are pushed to organize the tasks using milestones and labels, which makes the backlog easier to understand for people outside the core team. Since there is only one place for all work items now, we have a single backlog for requests from both the community and our product management. This enables us to prioritise features requested by community relative to other work items. It’s great to have pull requests treated in the same way as issues so we can see how much time we are investing into reviewing and landing contributions, allowing us to better organize and prioritize our time. To read more about how Loopback team uses Waffle for their agile development process, check out their recent blog post about their backlog, roadmap, and how they use Waffle to get it all done.